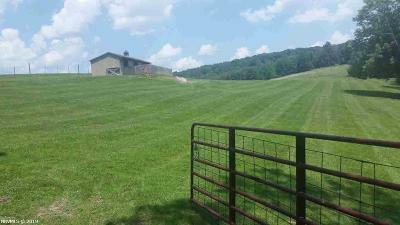 Beautiful rolling farm land, some pastures, some wooded. Views of the mountains and great privacy. Four small barns, main barn with electricity. If subdivided, lots must be over 10 acres, other restrictions apply. In addition to road frontage on Hurston, there is a 50 ft. ROW off Peak Creek Rd.